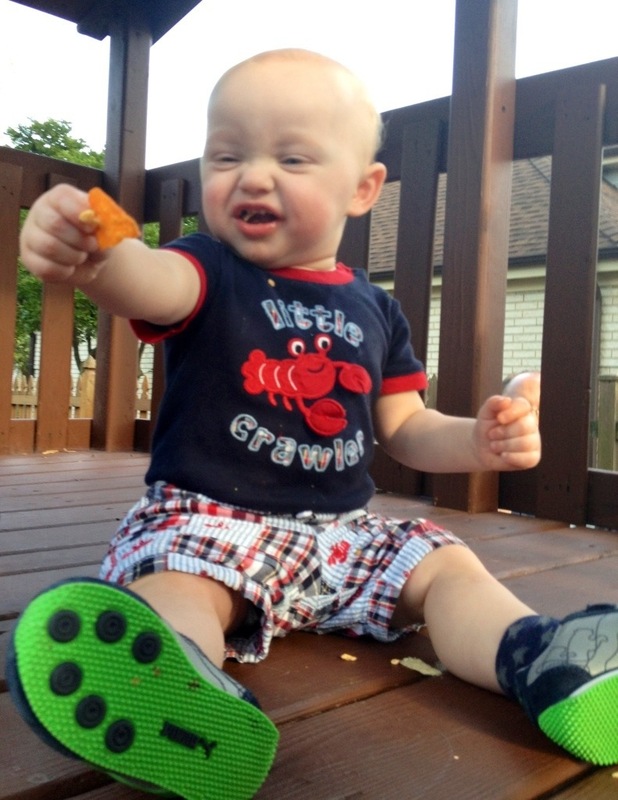 This weekend, at a birthday party, I watched in astonishment as the little bugger climbed a 5 1/2 foot ramp into a swing set playhouse – in which he sat eating Doritos while my husband and I fielded both sides of the structure in case he made a break for it. 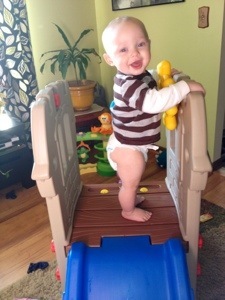 If he isn’t climbing up (and standing) on chairs, he’s climbing anything and everything else, so we brought out the kiddie slide to see what he’d do. Yup, figured it out in about 15 minutes. Finally, last night, after scrambling after his sister and her popcorn, he decided to check out the pantry himself for a snack. 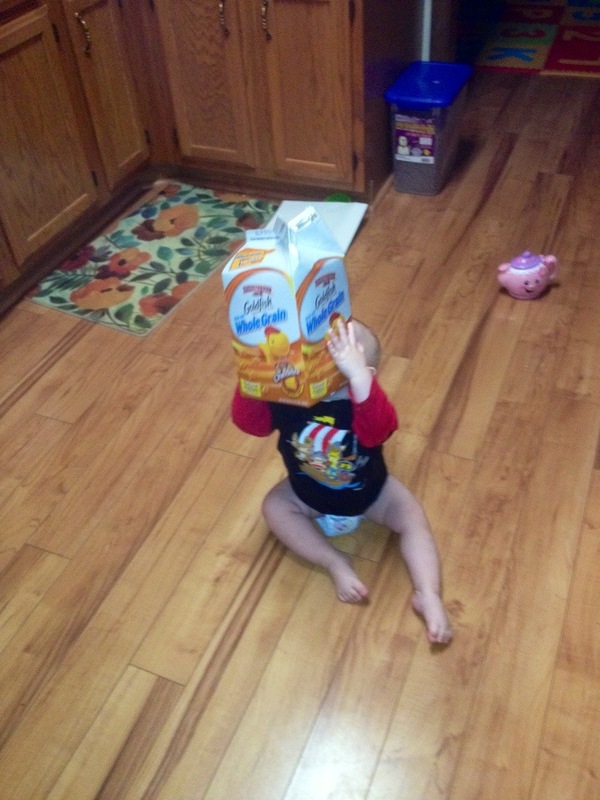 He managed to get to the second shelf and wrestle down a box of Goldfish bigger than his head. He was walking around, carrying and shaking that giant box of Goldfish all night like it was a huge rattle.